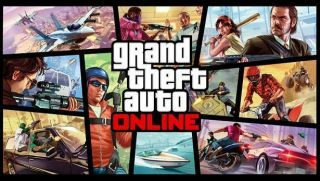 Grand Theft Auto V Online woes currently on the way out? Update: Rockstar has been hard at work making sure everyone can play Grand Theft Auto V, and it looks like your devoted patience has paid off. A title update for the PlayStation 3 is now live and an update for the Xbox 360 will come out some time today. Popularity is a double-edged sword for Rockstar and its huge hit Grand Theft Auto V.
After a massive launch day for GTA V Online, Rockstar unsurprisingly has some buggy issues to work through, despite those extra servers the company snatched up in anticipation of demand. The support page also details the latest updates about the other bugs like PlayStation Network server issues, blocked tutorial missions and online instability. We're hoping the list doesn't grow too long though Rockstar has been adamant about repairing every irksome issue, and is encouraging players to contact it with any issue via email and Twitter. Let's hope Rockstar can fix everything and we can all get back to exploring Los Santos together. Hear about Valve's Steam Machines?